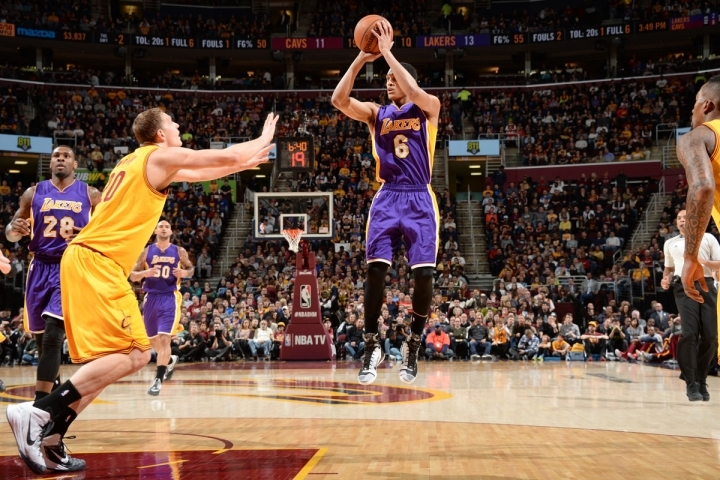 I don’t know about you guys, but I think this Laker road trip has been a phenomenal success. Even though they got blown out yesterday, they’ve been playing hard, and losing close games. LA is inching themselves closer to the bottom of the standings, which is critical for them in order to keep this year’s 1st round pick. In other words, many of these games against terrible teams are “must lose” and they are losing. Interestingly enough, Laker fans all seem to be putting all their hopes and dreams into either signing Kevin Durant in 2016 or trading for Russell Westbrook. Neither one of these guys by themselves can win a title, which they’ve demonstrated in Oklahoma City. It’s going to take even more talent around them, so the Lakers shouldn’t trade a lottery pick or even Julius Randle, just for a player like Durant or Westbrook. Hopefully the Lakers have accepted their current place in the NBA, as well as their fans, and will not make foolish decisions for a quick fix. Considering Jim Buss has given himself a certain amount of time to fix the team, a potential quick fix is something we should be very worried about. On the bright side, Jimmy Fallon and Kobe Bryant shared a pretty funny moment earlier this week…. The Clippers had a week that was even worse than Pete Caroll’s. They’ve lost 4 in a row, Chris Paul took his frustration out on a female official, which got him fined, and then they find out Blake Griffin has a staph infection and will be out for at least the next couple of weeks. Let’s start with CP3. There’s no question that this guy is frustrated, as is the rest of the team. That was very evident in his comments about Lauren Holtkamp. It’s probably a little much to accuse Chris Paul of being sexist, but at the very least, he’s guilty of being careless. Do you really think he would have said “this might not be for her” if a rookie male official had made the same call? I doubt it. In any case, the frustration we saw in that game seems to epitomize what we’re seeing from this team. A group of guys that no longer seem like they are really having fun, or even like each other for that matter. You can overcome that if you have superior talent and superior coaching, but their talent and coaching isn’t that much better than everyone else’s. As for Blake, losing him is going to hurt, and with the schedule coming up, the Clipps could end up losing 7 or 8 straight and find themselves clinging to the last playoff spot in the West very soon. It’s looking bad, but they sky isn’t falling…..yet. I have never been a huge fan of College Football Signing Day. We’ve gotten to the point where we are giving 17 and 18 year old kids ridiculous amounts of attention, and we have no idea whether or not any of these kids will actually be able to be good college football players. Even more obnoxious is when we see kids give us some dramatic presentation announcing where they are going to school, and some have even punked us by announcing one school, and then saying “just kidding” and announcing another one. That serves the media right for giving them that much attention. Even with all that obnoxiousness, it’s hard not to notice how well USC and UCLA football did in the years recruiting. In some rankings, USC had the #1 recruiting class nationally, while the Bruins had as high as #6 nationally. It’s really no surprise for USC, who had had good recruiting classes for a while, now it’s simply a matter of Sark developing them. However, what Jim Mora Jr. is doing at UCLA is amazing. The Bruins may be losing out on some local kids, but they are making up for it by stealing away some SEC talent. Is UCLA slowly becoming a football school? Hopefully for Dan Guerrero’s sake it is, otherwise he would probably be fired by now. How did the Bruins manage to blow that game against Cal on Saturday? They coughed up a 4 point lead with 90 seconds left. Terrible defense, terrible free throw shooting, and even worse late game execution. These guys have no hope of making it to the NCAA Tournament, which is an embarrassment for any UCLA basketball team. The good news is that 5 of their last 7 games will be at home, and televised on the Pac 12 Network. That means that most people won’t actually get to see how much these guys have underachieved this year. It’s February, and that means its almost time for Dodger baseball. That also means that Zack Greinke is speaking his mind like he usually does, and is saying what most of us are thinking: the Dodger front office has found a way to make the team worse than last year. Greinke was asked if he thought the Dodgers were going to be a better team than last year with the moves that were made. He said that it was hard to see how they were better. Which is a nice way of saying they aren’t better. That’s because they are actually a whole lot worse. Now that the Padres have signed James Shields, they’ve already clinched the NL West. The Dodgers front office nerds found a way to not only make the team worse, but strengthen a division rival. Nicely done. It’s becoming more clear than ever now: The LA Kings are screwed. I just don’t see how this team can even make the playoffs anymore this year. Even after Saturday’s win over Tampa Bay, the Kings are still in 10th place in the West, with just 31 games left to play. The Kings would have to go at least 21-10 the rest of the way to give themselves a chance to get in the post-season, which will be even tougher since 18 of those games are on the road, where they stink. On top of that, Slava Voynov’s NHL career is probably over, LA has terrible salary cap problems, and they’ve got injuries to Tanner Pearson and now Alec Martinez to deal with. These days, Steve Urkel has a better chance of scoring than the Kings, and when the playoffs come around, LA probably won’t get the chance to defend its title. Tiger Woods is losing his mind. Honestly, I can’t figure out what is deteriorating more: his skill or his psyche. It feels like his disease is “lameexcusitis”, which is a condition that flares up when he is at least 10 strokes behind a tournament leader, which clearly flared up last week. I think the question is no longer whether or not he can catch Jack Nicklaus for total number of majors anymore, but rather if he can win just one more major. It’s very sad to see, not just for Tiger, but for golf. The sport badly needs him, whether you love him or hate him. Does anybody even really watch when he isn’t playing? I’m rooting for him to get his game back, but it’s clear that whatever seems to be troubling him doesn’t have anything to do with golf. Pretty surprising episode of The Walking Dead last night on AMC, which returned for the 2nd half of season 5. Spoiler alert for those of you who have yet to watch it. At the beginning of the episode, I’m sure we all thought it was Beth who they were burying. It turns out it was really Tyrese, who ended up dying in this episode. I found it interesting that Tyrese experienced all of these different hallucinations, but none of them gave us a satisfying conclusion from them. We see some of Beth, some of the Governor, and some of Bob, but nobody gives us the sense that Tyrese is going to be better off if he dies. It’s somewhat of an unsatisfying feeling for the viewer, since much of the episode focused around these hallucinations. 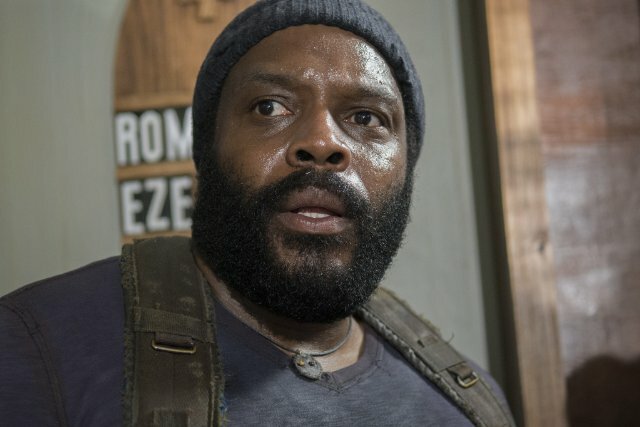 I actually thought that Tyrese was going to make it after his arm was cut off, similar to Herschel having a limb amputated when he was bitten. However, the show needed to start off with a bang for the first episode of the 2nd half of he season, and it did, which is part of the reason he died. The group is now headed to DC to seek shelter, but only time will tell if their efforts will be fruitful. Not a bad start to the 2nd half of the season, although somewhat unsatisfying. Looking forward to the next episode. Did you watch the Grammy’s last night? A few quick thoughts. I loved the ACDC opening. Sam Smith is a great talent that I never really appreciated until last night. It’s no wonder that Iggy Azalea is dating Nick Young. Last night she lost about as often as the Lakers lose basketball games. Nicky Minaj actually looks good when she isn’t dressed like a total weirdo. I guess she had to since Iggy has been stealing the spotlight from her for the last year or so. Kanye is a great talent, but the guy is so unbelievably unlikable. He nearly crashed the stage when Beck began to give their album of the year speech. He later appeared on E!, telling reporters that he felt Beyonce should have won the award. There’s a time and a place for everything, and clearly Kanye has no concept of that. In case you missed it, here it is…. This entry was posted in Morning Coffee on February 9, 2015 by omzzzzz.